Vyofit® Nutrition is committed to helping you achieve long term results and we, as working women and busy mums, totally understand the importance of trying to fit in some “me time” to exercise regularly and follow a healthy eating plan which fits in with our varying lifestyles and commitments but with some careful thought and a little planning Vyofit® can help you achieve your goals. Behind Vyofit® are real women who actually work together to pass on our knowledge and experience to you. The personal touch is what we are all about and with many different approaches to diet and exercise, we are certain that we will be able to help, if you want to tone up or reduce fat from those problem areas, let us help get you in shape, boost your confidence, inspire and encourage you to achieve whatever goals you set yourself. Vyofit® Diet Whey is a delicious protein blend with added nutrients to help support your healthy, active lifestyle. 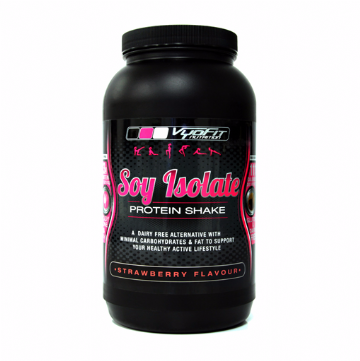 With 23g protein per serving, Vyofit® Soy Isolate is a perfect dairy free alternative. VyoFit® Nutrition Beaker Shaker is ideal for taking to the gym or work so you don't miss your all important protein drink where ever you are. Vyofit® super stretchy spandex backed ladies weight training gloves, designed to help protect your hands whilst training. Starter Pack comprising of a sports bag with a pair of training gloves, a belt, pair of wrist wraps and a beaker. Vyofit® elasticated looped wrist support with touch fastener closure to firmly support your wrists whilst training. Vyofit® all new soft neoprene belt Ideal for support during weight training and exercise. 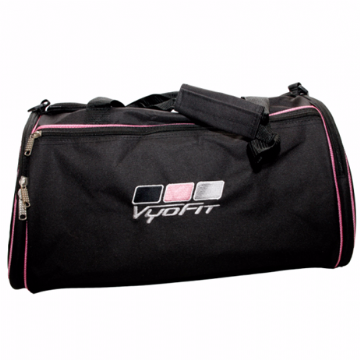 Vyofit® bag is ideal for use as a gym bag or travel luggage, multi compartments on the front and sides.